ServiceMaster’s marketing team has been recognised as a finalist for no less than two Franchise Marketing Awards. The team entered the categories Best Online Marketing Campaignand Best Overall Marketing Campaign in the tenth year of the awards. Judging will take place at The British and International Franchise Exhibition at London’s Olympia in March. Garden enthusiast, Barrie Dixon, has relocated to Sandhurst, Berkshire and launched his own professional lawn care franchise to serve residents in South East Berkshire and North West Surrey. With 12 years’ experience in the gardening and lawn care industry, Barrie, 37, moved his family to the area after investing in TruGreen Professional LawnCare, part of the world’s largest lawn care business, operating along J1-4 of the M3. His passion for working outdoors, one-to-one with customers and his desire to manage his own business, led him to invest in the established franchise. Barrie has big plans for the business and aims to grow to be a multi-van operation, employing a local workforce and eventually offering apprenticeship opportunities. TruGreen is a franchise of Leicestershire-based, ServiceMaster Limited, which has been established in the UK since 1959. 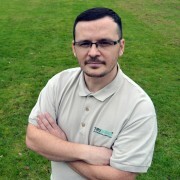 Each new TruGreen franchisee undertakes a two week, intensive training academy at ServiceMaster’s head office, during which time they achieve their qualification in pesticide application from the National Proficiency Council and full technical training from TruGreen’s operations manager and ex-Wembley head groundsman, Steve Welch. Barrie relocated from Forest Park, Berkshire to Sandhurst and launched his business in February 2015. With the key growing season fast approaching, Kingsclere resident, Mike Lethbridge has launched a professional lawn service business after investing in a leading lawn care franchise. With a distinguished career spanning 25 years in IT and financial services, Mike chose to take a change of direction and invest in TruGreen Professional LawnCare, which is part of the world’s largest lawn care business. The franchise, based from Mike’s home in Kingsclere, will serve customers across Newbury and Basingstoke and offer bespoke lawn care services and tailored packages for each customer. Founded in 1973, TruGreen is a worldwide company serving over 3.5 million customers and with a proven pedigree, gives Mike a firm foundation to build his business in the area. TruGreen, the world’s largest lawn care company, has expanded its operation into the Cumbria/Lancashire region, after selling a franchise license to lawn care professional and former Grenadier Guardsman, Ian Goodman. Originally from the North West, Ian held a career in security and management spanning 23 years and prior to that, served for 11 years as a Grenadier Guardsman becoming a Lance Sergeant. He decided to exchange his suit for a different outfit altogether, after choosing to launch the TruGreen franchise. With a passion for the outdoors and a desire to help customers on a one-to-one basis, Ian chose to invest in a TruGreen business and relocate back to the North West to serve residents and small businesses across the area. Ian continues to serve within the Territorial Army as a Sergeant Infantry Training Instructor. Founded in 1973, TruGreen came to the UK in 2004 and is owned by national franchisor ServiceMaster Limited, which celebrates its 55th year in business in 2014. 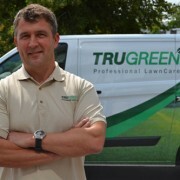 TruGreen serves 3.4 million customers worldwide with bespoke, professional lawn care services. All new TruGreen business owners undertake a two-week intensive training academy at ServiceMaster’s head office in Leicester, prior to launching their businesses. Headed up by operations brand manager and former Wembley Grounds Manager, Steve Welch, the academy teaches TruGreen franchisees all aspects of running and operating a professional lawn care company. After successfully completing the training, Ian achieved a City Guilds Qualification and now holds a licence to operate Pesticides. All TruGreen technicians are equipped with the knowledge and the correct qualifications to deliver a high-level service to all our customers. A professional lawn care business has been launched by two brothers from Derry/Londonderry, after they purchased the first Northern Ireland franchise from the world’s largest lawn care company, TruGreen. With a family history of farming dating back to the 17th century and experience in both green keeping and agriculture, Alan and Trevor Lynch are perfectly suited to owning and operating their own lawn care business. The franchise will operate in the west of the Province including Derry/Londonderry, Tyrone and Fermanagh. TruGreen was founded in the US in 1973 and came to the UK in 1990. The franchise is owned by ServiceMaster Limited, which celebrates its 55th year in business in 2014. The company offers a complete lawn care service to help customers achieve a healthy, weed-free, beautiful lawn. TruGreen Northern Ireland West will operate from its base in Derry/Londonderry from December 1st 2014. A father and son lawn care business in South Bedfordshire, has been presented the Franchisee of the Year award at a national franchise conference, after only launching their business four years ago. TruGreen South Bedfordshire, a franchise of ServiceMaster Limited, which celebrates its 55th year in business in 2014, picked up the Franchisee of the Year award at the ServiceMaster Limited 2014 national conference, held in Leicester. 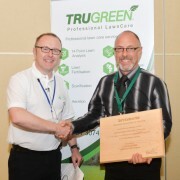 The award is the most prestigious within the TruGreen network, which operates professional lawn care services across the UK. 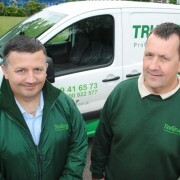 TruGreen South Bedfordshire was set up by Les and Stephen Graves in 2010 and has built up a large customer base in Luton, Dunstable and the surrounding villages. The company offers all types of lawn care services to help customers achieve, healthy, green lawns. A local businessman has taken control of a thriving lawn care franchise following the very sad death of its former owner, Bob Anderson. The business, which operates across West Yorkshire, was launched in 2004 by Bob and his wife, Anne and has grown from strength-to-strength in that time. Mr Anderson’s successor, Darren White, is relishing the opportunity to continue and develop TruGreen West Yorkshire and bring in new staff to help grow the business. A former postman and DPD franchise owner, Darren has local and technical knowledge to offer customers award-winning lawn care programmes and treatments. Darren commenced trading as TruGreen West Yorkshire in mid-August, following his graduation from ServiceMaster Ltd’s training academy in August. A successful lawn care business operating across Hertfordshire is under new ownership, following a buyout by local businessman, Andy Hazell. TruGreen Hertfordshire is part of the world’s largest and most successful lawn care company and is a franchise of Leicester-based ServiceMaster Limited. The business started trading in 2004 but was sold by former owner Ed Lawrence in a deal that included vehicles, equipment and its loyal customer base. Originally a sales and account manager in London, Hazell (26) from St Albans, underwent intensive training from one of the lawn care industry’s most experienced professionals and TruGreen operations brand manager, Steve Welch. The business will continue to trade as TruGreen Hertfordshire under a new five-year, rolling franchise agreement. We have an established lawn care business for sale in Hertfordshire. The business has been operating since 2004, providing a range of professional lawn care services to lawns in St Albans, Harpenden, Hemel Hempstead, Chesham, Cholesbury, Chorleywood and surrounding areas. Access to Operations manual, marketing material, Health & Safety information and documentation. 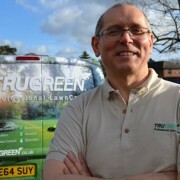 A Barrow upon Soar resident has launched his TruGreen business, one of the UK’s leading professional lawn care franchises. Paul Doherty, a graduate of Brooksby College, Melton Mowbray, set up the business following a successful career in motor and agricultural sales and will operate across Loughborough and North Leicestershire. With a passion for the outdoors and experience in agriculture, Paul selected a TruGreen franchise to start his self-employed journey. The TruGreen brand is owned and operated by ServiceMaster Limited, based in Leicester, and offers professional, bespoke lawn care services to homeowners. Paul has already signed nearly 30 new customers across North Leicestershire since inception and is working hard to build the business in his locale. 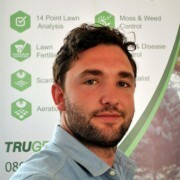 TruGreen Loughborough is currently offering a free, 14-Point Lawn Analysis, with no obligation to sign up to the many lawn care plans available. 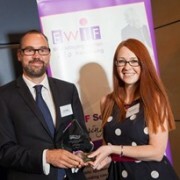 Hannah Banfield, head of marketing at ServiceMaster Limited, one of the UK’s biggest franchisors, has scooped a national franchise award at the 2014 NatWest Encouraging Women into Franchising (EWIF) Awards. Collecting the Women Franchisor Employee of the Year award at the prestigious ceremony held at RBS House in London, Hannah was up against tough competition from national franchisors, Extra Help and diddi dance. The award, sponsored by The Franchise Show, was given to Hannah as a result of consistent positive results, most notably a highly successful online national campaign that resulted in a 21% increase in visitor traffic and a local marketing plan for one specific business that achieved over 35% growth on the previous year. EWIF is a not-for-profit organisation that aims to encourage women to buy a franchise business, to franchise their existing business or to help existing franchise operations to attract more female franchisees. The organisation’s regular meetings across the country are extremely well attended. Come and find out more about what it’s really like to be a TruGreen lawn care franchise owner at our TruGreen Open Day. Our TruGreen Open Day is geared around enabling you to find out everything you need to know before making the decision to invest in your own TruGreen lawn care franchise. You’ll get to meet with our Network Manager to discuss the technical side of the business; our Marketing Team to explore ways in which to market your business and gain new customers and our Recruitment Team who will be on hand to take you through the finer points of investing in a franchise. We’ll also have existing franchisees on hand to speak to and equipment and machinery to handle and view as well. We’re combining our TruGreen Open Day with our sister brand Merry Maids so you’ll also have the opportunity to explore the benefits of running a domestic cleaning franchise. Perhaps a friend or family member has always said that they’d love to run their own management business….why not bring them along!? Our TruGreen Open Days gets booked up quickly so be sure to contact us to reserve your place TODAY! ServiceMaster Ltd, which operates Merry Maids, ServiceMaster Clean, Furniture Medic and TruGreen in the UK, announces that Alan Lewin has been promoted to the role of Managing Director. Alan, who previously held the title of Business Development Director for nearly four years, replaces Steve Emmerson. Alan joined ServiceMaster Ltd in the UK in 2005 as Director of Business Development to focus on driving the growth and market share of ServiceMaster Clean and Furniture Medic franchise networks through its National Account programme. 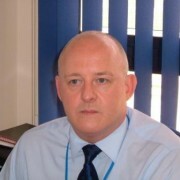 He was then appointed, in June 2010, to the UK executive leadership team as Business Development Director. This role involved wider strategic and tactical responsibilities in business development and leadership for the growth, and retention, of UK revenues for all ServiceMaster brands serving the commercial and domestic markets. Alan’s sales and management career started with Minolta, Canon and Xerox. He holds a Bachelor of Arts Degree in Business Administration from De Montfort University in Leicester. ServiceMaster Ltd is celebrating 55 years of franchising this year. The group which started trading in the UK in 1959 has 320 franchisees over 850 licensed areas and owns ServiceMaster Clean, Merry Maids, TruGreen and Furniture Medic. Part of the multi-million dollar American franchise giant ServiceMaster which has 7,000 franchisees in over 40 countries, the UK arm has an annual network turnover of £50 million. Based for the last 10 years in Wigston, Leicestershire, the company is led by Managing Director Steve Emmerson, who has been in franchising for 32 years and MD of ServiceMaster Ltd for the last five. Steve was a previous board member and chair of the bfa and currently represents franchising on the CBI’s SME committee. ServiceMaster Ltd were founding members of the bfa, helping to draw up the code of ethics which are still used today. https://trugreenfranchise.co.uk/wp-content/uploads/2014/02/trugreen_leaf.gif 250 250 Hannah Banfield https://trugreenfranchise.co.uk/wp-content/uploads/2013/04/trugreen_franchise_logo_2.gif Hannah Banfield2014-02-10 12:04:402014-07-25 09:14:5210th February 2014 - ServiceMaster Ltd celebrates 55 years in business! ServiceMaster Ltd was delighted to reach the finals of the prestigious Franchisor of the Year award hosted by the British Franchise Association in London on 4th July. With over 900 franchisor brands operating in the UK and after a thorough judging process of 13 shortlisted companies, this remarkable achievement saw ServiceMaster Ltd as one of six finalists in this award category. The company holds over 800 franchises in the UK across four major ServiceMaster brands; domestic cleaners Merry Maids, carpet and upholstery cleaners ServiceMaster Clean, furniture restorers Furniture Medic and lawn care operation TruGreen. The British Franchise Association’s HSBC Franchisor of the Year award celebrates the outstanding practice and achievements of the country’s leading franchisors, especially reflecting on the dedication and commitment of exceptional companies from a wide variety of business sectors. These national awards aim to select companies that illustrate the thriving industry of franchising in the UK and were held at the Honourable Artillery Company in London this year. ServiceMaster Ltd is proud to be part of such a fantastic occasion and congratulates Home Instead Senior Care on taking the gold in this award category. With high hopes for the future, ServiceMaster Ltd will continue to uphold the high standard of care and team work that will indefinitely gain more recognition in upcoming years. https://trugreenfranchise.co.uk/wp-content/uploads/2014/02/trugreen_leaf.gif 250 250 Hannah Banfield https://trugreenfranchise.co.uk/wp-content/uploads/2013/04/trugreen_franchise_logo_2.gif Hannah Banfield2013-07-18 10:13:002014-07-25 09:14:5218th July 2013 - ServiceMaster Ltd are proud bfa Franchisor of Year Finalists! Karen Burdett of TruGreen Milton Keynes and West Northants is celebrating after winning the title of ‘New Woman Franchisee of the Year’ at the EWIF (Encouraging Women into Franchising) Awards, held in London on 16th May. It was just last April when Karen left her position in the commercial, customer focused environment she had worked in for 20 years to join the franchise network as TruGreen’s only female franchise owner-operator. To triumph as winner is the reflection of sheer hard work and early success. Karen reported fantastic figures after only a few weeks, with an enquiry to quote conversion rate of 99 per cent. Of those quoted, a staggering 96 per cent became customers. Lawn care is tough, physical work and not for the faint-hearted, but Karen wasn’t fazed in the slightest and showed grit, determination and a genuine desire to get started. “The technical support with TruGreen is second to none and the ServiceMaster Company is full of individuals who you can call on at any time for support on a range of things,” adds Karen. So, could you be our next award winner? We support our franchisees throughout their franchise journey and identify those who deserve particular recognition; many who are entered in to such awards go on to be finalists and beyond. For further information on the TruGreen franchise opportunity, please click here. https://trugreenfranchise.co.uk/wp-content/uploads/2014/02/trugreen_leaf.gif 250 250 Hannah Banfield https://trugreenfranchise.co.uk/wp-content/uploads/2013/04/trugreen_franchise_logo_2.gif Hannah Banfield2013-05-17 14:03:002014-07-25 09:14:5217th May 2013 - EWIF success for TruGreen's Karen Burdett!